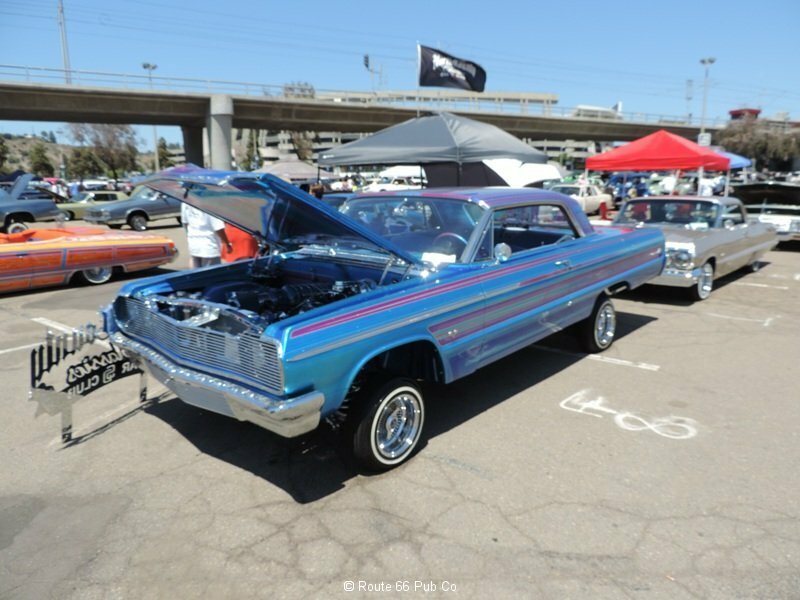 Let’s take a look at this 1964 Chevrolet Impala recently seen at a San Diego, CA car show and check off some boxes. 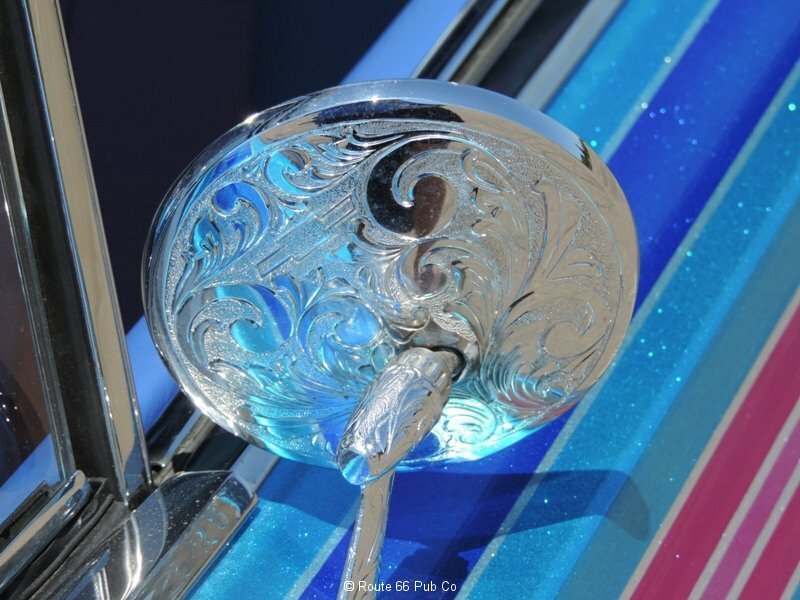 Chrome work Check and Double CHECK it out! 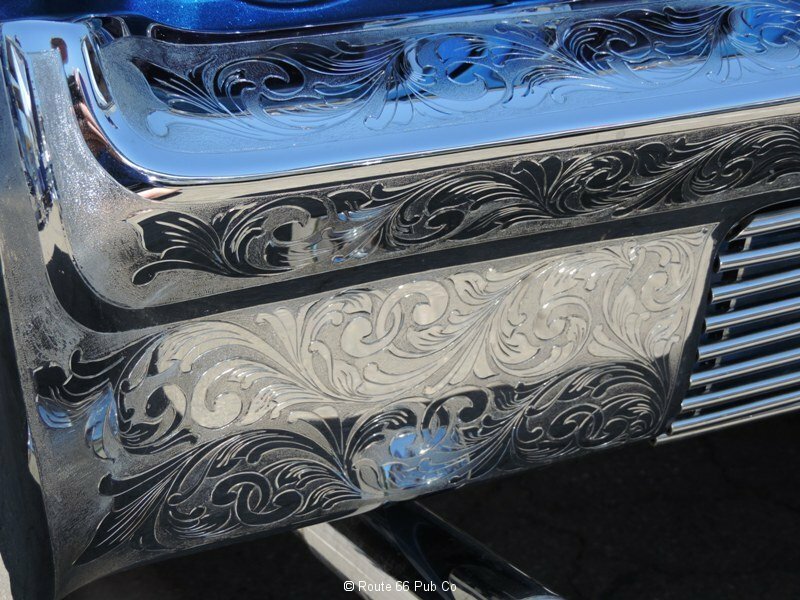 Yep, that chrome has been engraved upon! 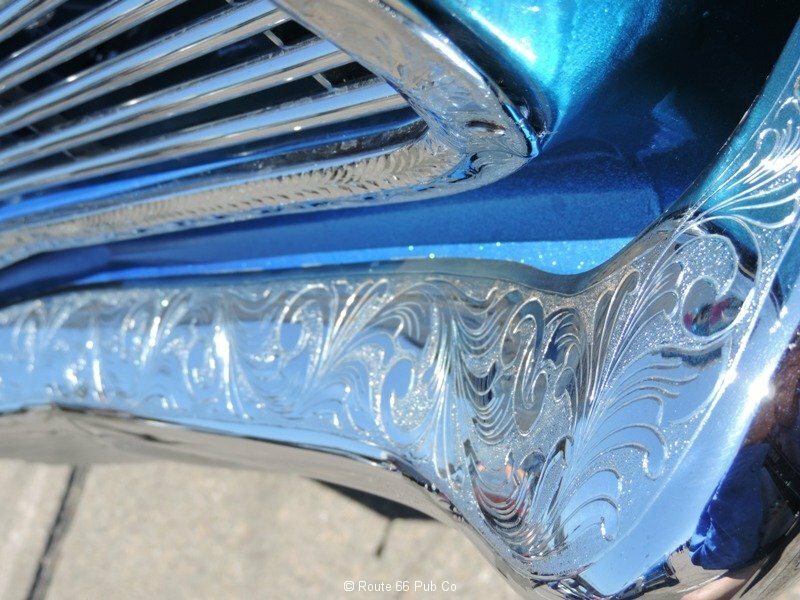 Anything that was dipped in chrome is engraved including the hood latch which is normally closed as you cruise the boulevard. 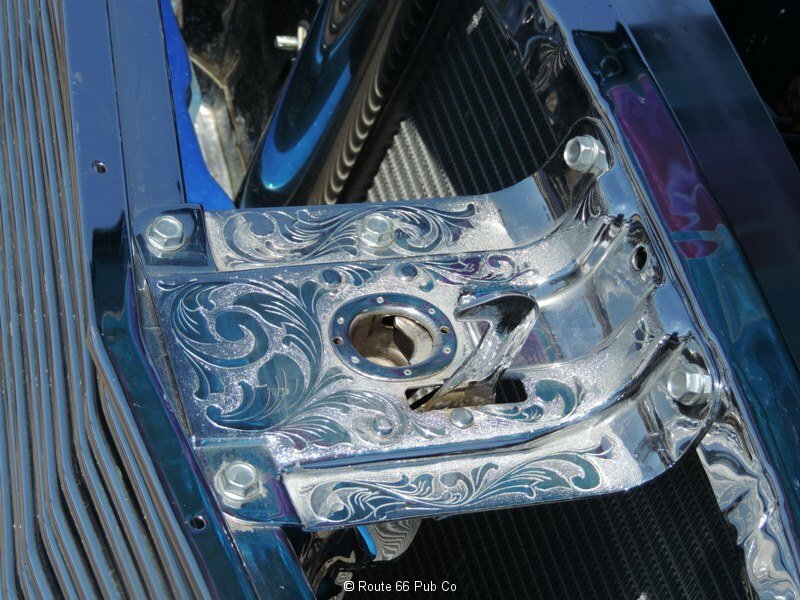 Engraving a car’s chrome is a tedious and time consuming work and if you thought a cowboy belt buckle was intricate, take a look at this workmanship. That takes detailing to a whole new level. 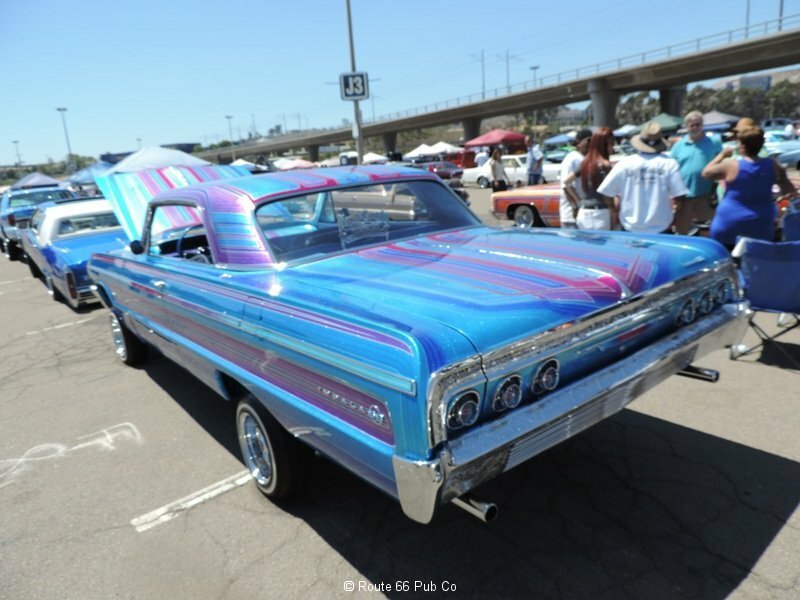 The car is a wicked looking 1964 Chevy Impala SS, which by itself would be a keeper. 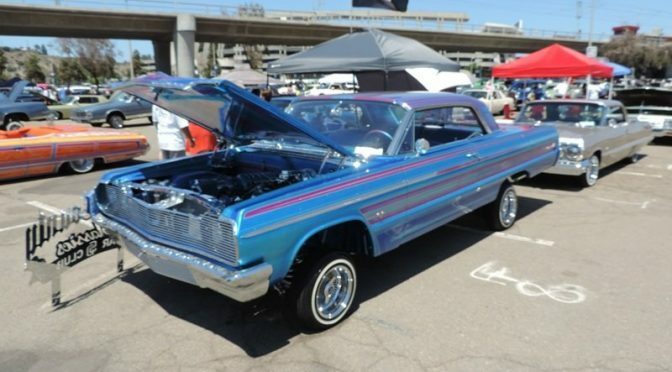 Add on a trick paint job and throw in that “in the weeds,” low rider stance and you have a winner. But the engraving took it over the top. What do you think?